When it comes to good excuses for missing work, the default excuses for most Filipinos ranges from the common flu to family emergencies, much like the rest of the world. However, there is a set of non-traditional excuses that are mostly accepted by employers in the Philippines. 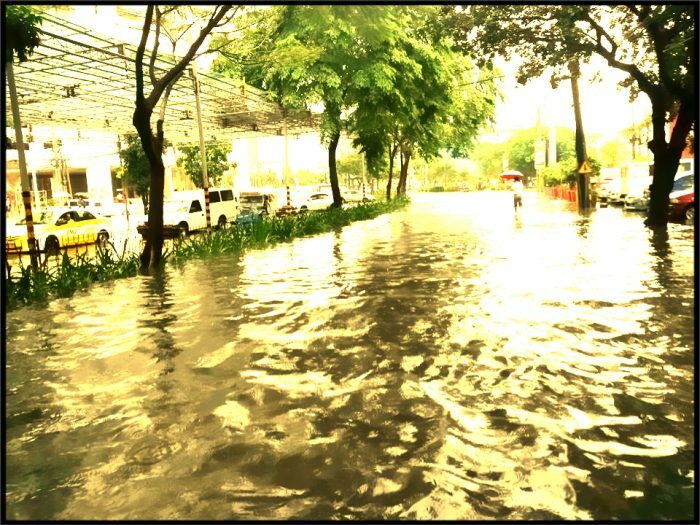 In a country where visits from the southwest monsoon are as loyal as the stubbornly clogged drainage systems, floods are a staple occurrence whenever there is a storm. Streets could easily transform into the Grand Canal in a matter of hours, and sometimes in just minutes, in which makes it hard for employees to get to the office in time or be there at all. Besides from the travel logistics nightmare, the dangers of powering through flood water is enough to deem it as an employee hazard. Regardless if the local government declared it as #walangpasok or a non-working day or not, most companies would consider it as a valid excuse. There was a time when the Philippines maintained a spot in the top 20 slots for the worst traffic in the world, but this year, it’s not even in the top 25. Despite the improvement in the Philippine traffic, it is still one of the biggest hurdles that employees go through in their work days. Even if the traffic still moves in a very slow way, there are simply rare cases when the traffic refuses to move at all, making parking lots out of main roads. Generally, companies do not merit traffic as an excuse to skip out on work, but if it is the type that affects the masses in an extreme way (such as a protest in 2015 or the fire incident at SLEX earlier this year), employers are more likely to deem it as an acceptable excuse to not be at work. “(Traffic jams) are unexcused reasons; but, there are cases which the big portion of employees are affected… and the record shows it. The management usually excuses it,” according to uPraxis Human Resource Manager Manilyn Juquiana. When Filipinos fall in love, they fall hard. They express love to their spouses or partners with high devotion and sincerity like no other country in Asia, except Vietnam, according to a relationship satisfaction survey by Pru Life UK. After a heartbreak, Filipinos generally tend to be too emotionally and mentally distraught to be able to work at their optimal levels. Not long ago, a Philippine-based digital ad company started to allow breakups as an excuse for a leave, due to the heartbreaks that are associated with it. An HR manager of another company based in the Philippines, whose identity was requested to be kept under wraps, confessed that she allowed one of her staff have a few days off due to a heartbreak. The staff’s emotional stress was affecting her productivity. Heartache leaves are not exclusive to the Philippines. The Tokyo-based company Hime & Company also has their version of heartache leaves. However, the way that heart breaks affect Filipinos, there are probably more HR managers or supervisors in the Philippines who most likely understand how it feels and allows it to be an excuse for work, but not necessarily labeling it as a heartbreak leave. When filing the absences based on the excuses mentioned above, what to file them as depends on the company policy of the employees. For leaves due to natural disasters, some employers count them as vacation leaves and sometimes compensate them later on. “Usually they are deducted to VL credit. The reason is just cited due to natural disaster or calamity. Few companies are quite kind, they have additional credits for such reasons. Or add leave credit/s accordingly for affected employees only, “ Juquiana explains. Unplanned employee leaves are a staple occurrence in any company in any part of the world. The reasons or excuses mentioned above are more common in the Philippines than anywhere else. Though they do not deserve a “Proudly Pinoy” seal, they are good enough to merit as “dito lang sa Pinas” (only in the Philippines). Need help processing your payroll? JustPayroll.ph offers enterprise-grade payroll software, premium biometric devices, and superior outsourced payroll services. Discover how easy payroll can be by choosing us, simply fill out the form below to get in touch with our payroll customer care.